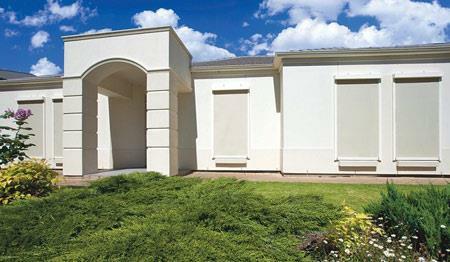 Roller shutters installed on the outside offer the best solution for keeping the sun and heat from reaching your windows. 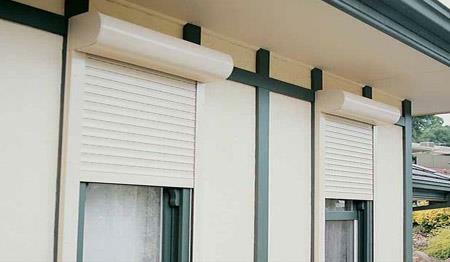 Mr Blinds Adelaide offer roller shutters in the full range of Colorbond® or Dulux® powder coated colours and can include secondary colour stripes to break up the main colour. 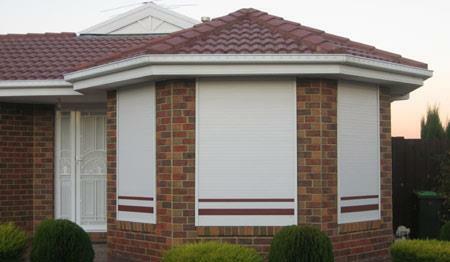 Many people install roller shutters to provide security to windows at the front of their home; hence the name security shutters, but outdoor roller shutters also keep Adelaide’s weather from reaching your windows, saving on heating / cooling power bills and also dramatically reducing noise levels. With stylish good looks, these outdoor roller shutters will make your home more liveable while adding value to your property as well. To request a free no obligation measure and quote on our roller shutters, please contact us today.